Now, There is no need to visit the UCO bank branch for the transfer of money to any other bank accounts. If you have Internet Banking username and password for the UCO Bank then you can easily transfer the money from any bank accounts. Click here to know how to add the payee in UCO Bank. 4. Now click on "Make RTGS/NEFT Payment" link. 5. The next screen will be displayed that will contain the list of payees added to your account. Click the "Make Payment" link in front of the account you want to transfer the money. Now enter the amount and transfer description. Also check the "Terms and Condition" (Read the term & condition if you want) checkbox. 7. Next screen will be displayed that will ask for the Beneficiary Address details if you transferring first time to this beneficiary. Enter the Beneficiary Address and click on "Add" button. You will get a message that "Address is successfully added.". 8.Address confirmation screen will be displayed. Check the address and click on "Continue" button. 9. Now, Final confirmation screen will be displayed. 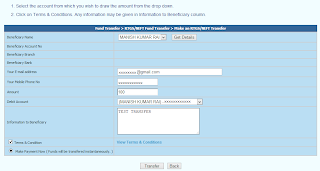 Verify Payee account details and transfer amount. 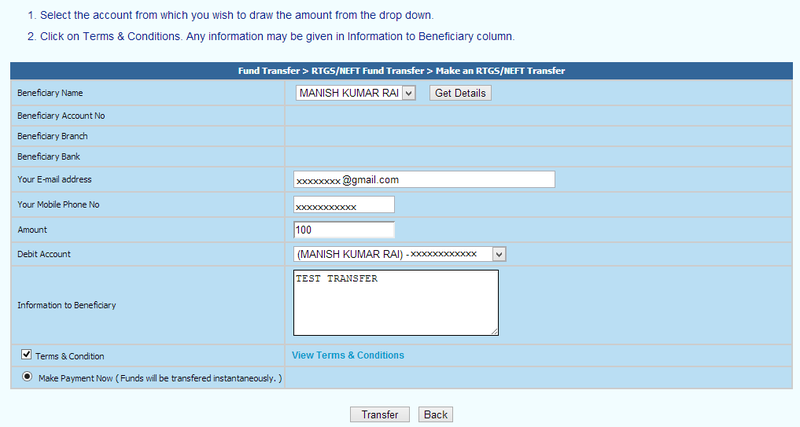 If all is correct then Enter the Transaction Password and click on "Validate" button. Finallly,You will be prompted with the succcessful transfer message. The process is not that easy as mentioned above. First of all kindly suggest how to add beneficiary. The moment cursor is clicked on Add Beneficiary, a screen display asks for updating mobile number. Whereas my mobile number is already updated in Cust Id. Please advise how to proceed. ERROR: Customer name should be alphabet/Numeric. Please tell me hos can i solve this error. put the name as you add in beneficiary form. what is transaction password?? I can't get it? Transaction Password is used for transactions. You can use Internet Banking or UCO mBanking App to reset the same. Sir how many charge transfer???? 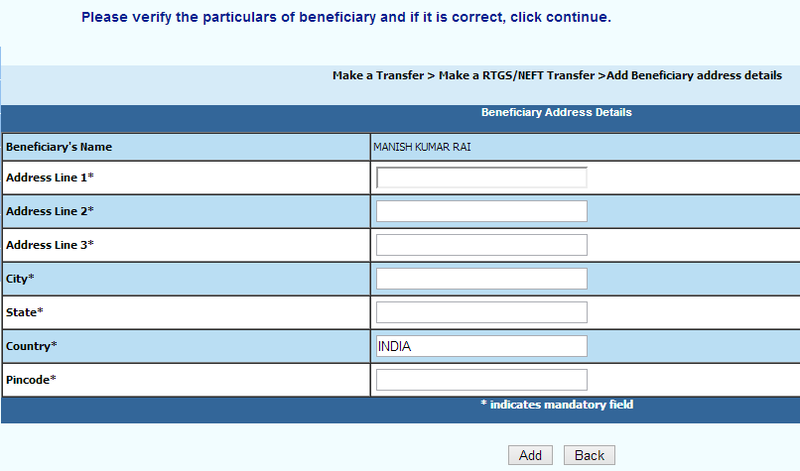 very easy way to add benificiary..
but i want to know charges taken by bank on transfer. 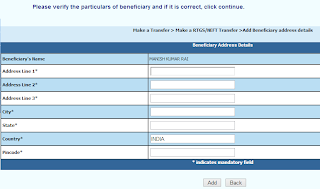 Can't we transfer funds without adding beneficiary? Like quick transfer option on SBI internet banking? 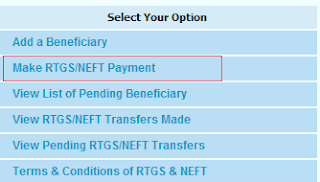 how to change maximum limit of money for NEFT?? You can use RTGS for this. but its not accepting the Swift code HDFCINBB..saying its shorter. Transaction Not Created due to ERROR! Error: Ordering Customer Name should be alpha/numeric ????????? ?